February 28th, 7 – 9 PM in the KIAC Ballroom. Ages 12 – 18. Free snacks, no registration required! Looking for youth who want to explore new dance styles, movement and creativity! Classes will work on technique, style, musicality and break down of dance steps for each style. 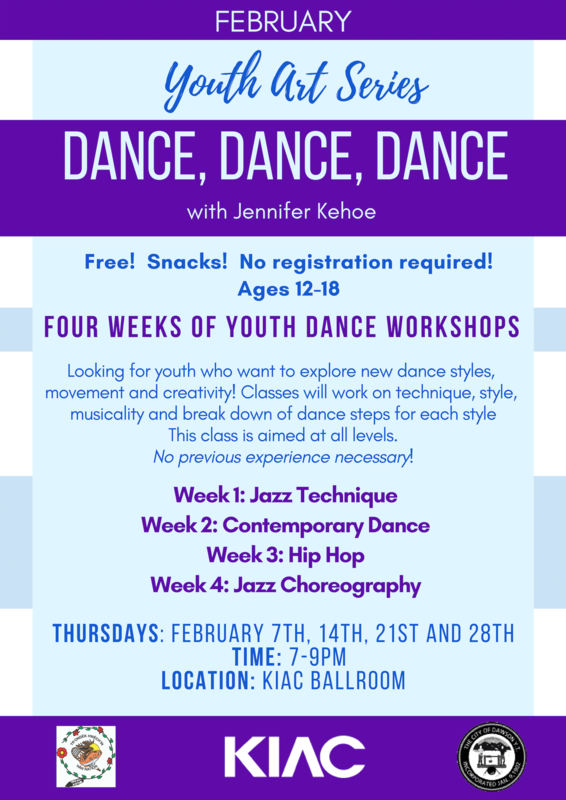 Join dance extraordinaire Jen Kehoe in a learning the techniques of Jazz dance. This class is aimed at all levels.